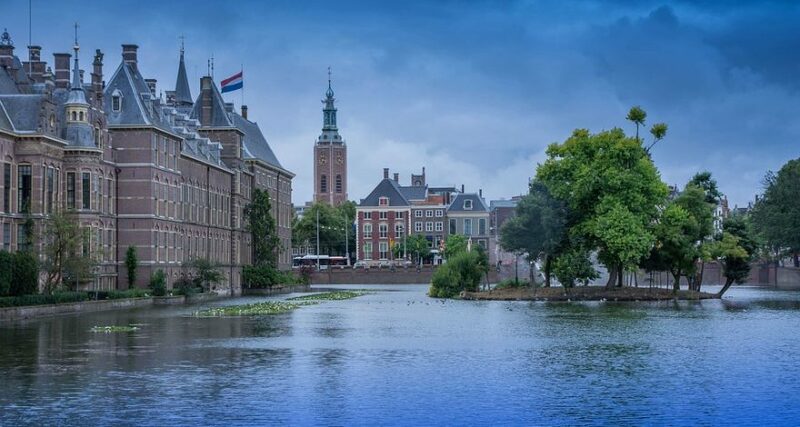 Every four to five years, the Hague Conference on Private International Law convenes a Special Commission Meeting to review issues associated with the practical operation of the Hague Service and Evidence Conventions. Delegates from Member and non-Member countries convene at The Hague in the Netherlands to evaluate and review the Treaties, discuss their experiences, report on recent case law, and appeal for or against different procedures. The Special Commission Meeting was held May 20 – May 24, 2014 on the grounds of the Peace Palace in The Hague (or Den Haag, as the Dutch would say). Delegates from around the world attended, including those from China, Russia, India, Brazil, Israel, South Africa, Colombia, Canada, Australia, Finland, the US, Mexico, Argentina and most of the countries in the European Union. Since LLS frequently collaborates with the both the US State Department and the Hague Conference, I was honored to be invited by the State Department to attend the Meeting as its Private Sector Advisor. The Meeting focused in the first two days on the operation of the Convention on the Taking of Evidence Abroad in Civil or Commercial Matters, “Hague Evidence Convention.” There are now 58 Contracting States to that Treaty, including recent signatories Albania, Armenia, Brazil, Colombia, Croatia, Macedonia, Korea, Malta, Montenegro, Morocco and Serbia. The Secretary General of the Hague Conference reported that use of the Evidence Convention had increased steadily by about 8 percent over each of the last five years. This number is based on reporting from approximately half the Contracting States, so it’s quite possible – and even probable — the increase is much greater. Problems with the Evidence Convention reported by the Contracting States include lack of timely execution of Requests, lack of communication, and lack of substantive content within Evidence Requests. The US, while a party to the Hague Evidence Convention, has not deemed its use mandatory. Foreign parties to a US lawsuit, for example, do not have to take evidence using the Hague Evidence Convention; they simply follow the forum court rules. Use of the Evidence Convention in the US is generally limited to obtaining evidence from non-parties located abroad. The US position vexes some other member countries, but the US will not likely change its stance until other States ease their Chapter 23 (fishing expedition) declarations. The Special Commission’s biggest triumph this year was finalizing and adopting a Handbook on the Practical Operation of the Hague Evidence Convention. The Hague Conference hopes to have the Handbook published and available within a year. The Service Convention has been in effect since 1965 and is widely-used in 68 Member States. Most of the larger issues have been resolved in prior Special Commission Meetings. The Treaty works beautifully in countries with adequate resources and training, like Switzerland, Japan, and Germany. Countries with troubled economies, like Spain and Greece, or those with an extraordinary volume of incoming Requests, like China and India, are slower to execute Requests, but the Treaty still functions well. Delegates did raise a few issues with the practical operation of the Service Convention, though. For example, the Special Commission encouraged member States to provide assistance with locating a current address for the defendant, when possible. Some States asserted that they routinely research proper addresses when service fails. In LLS’ experience, however, this rarely happens. (For that reason, LLS offers skip-tracing for companies and individuals worldwide). Some delegates also lamented the lack of communication by other member States, noting that often it is nearly impossible to get updates regarding the status of service (we’re looking at you, Mexico). The Special Commission urged Central Authorities to communicate promptly with other Central Authorities as well as Requesting Authorities. LLS has strong connections to most Hague Central Authorities and is usually able to provide regular updates regarding the status of service. The Special Commission Meeting ended in time for delegates to enjoy the beautiful manicured gardens of the Peace Palace on a sunny day in May. If you require international litigation support or advice, contact LLS today to learn how we can assist you. Are Foreign Defendants Obligated to Waive US Service?